NGC graded 13 70s, and none for PCGS. Wow, that's definitely a keeper. If you had to sell it, how much would you ask for? Just wondering if I can ever afford it. I haven't really followed the market price for 70 proof silver pandas lately. In today's slow market, I would guess its price might be somewhere around 1.2k. This coin belongs to my own collection. I will not consider selling it until I get retired. 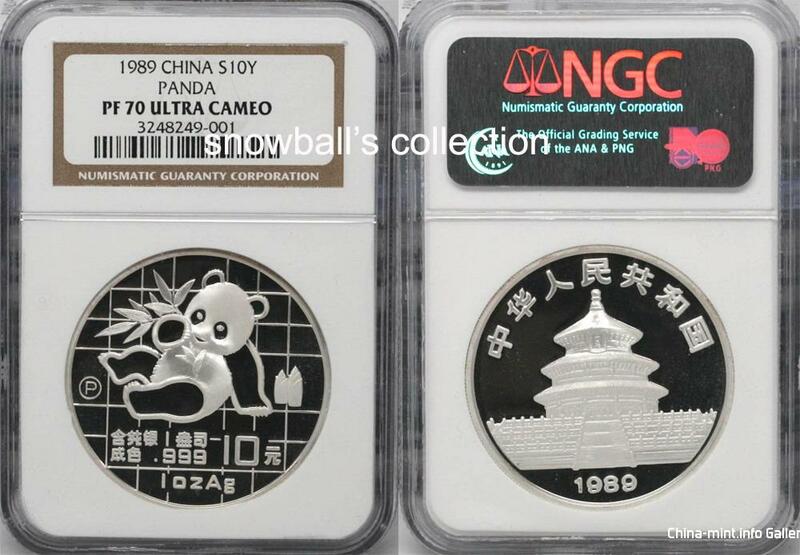 For some reason this coin has not graded well despite being one of the most distinctive Panda coins IMO. I still hope to stumble across a PF70 one day!